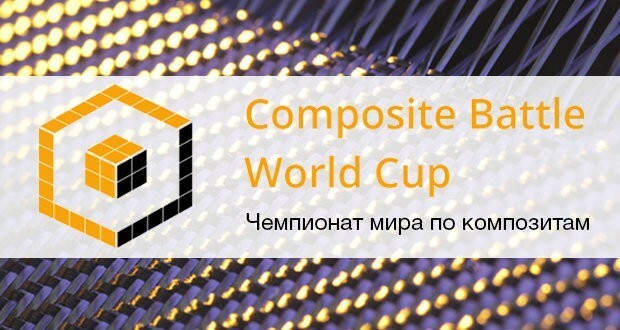 The First International Composite Championship will be held from 26 to 29 October with the support of World Skills Russia. The International Conference on Composites and the Exhibition of Achievements in Composite Industry will be held within extra championship program. The Championship includes 2 laps: federal and international. Ten youth pre-selected teams from different cities of Russia are going to take part in the first lap. During the second lap, the teams from various countries will participate in the competition. Foreign companies that haven’t yet applied to participate, feel free to submit your request up to 20 September 2016. The initiator of the Championship is IEC “Composites of Russia”. According to the organizers, this is such a moment when the competitions like that are mainstream since a great number of manufacturers and enterprises are switching over to composite materials. Composite Battle will provide the teams with an opportunity to demonstrate their experience and expertise in the composite field and attendees with a chance to see the manufacturing process of composite parts. The main purpose of the event is to promote composites among young professionals and students.